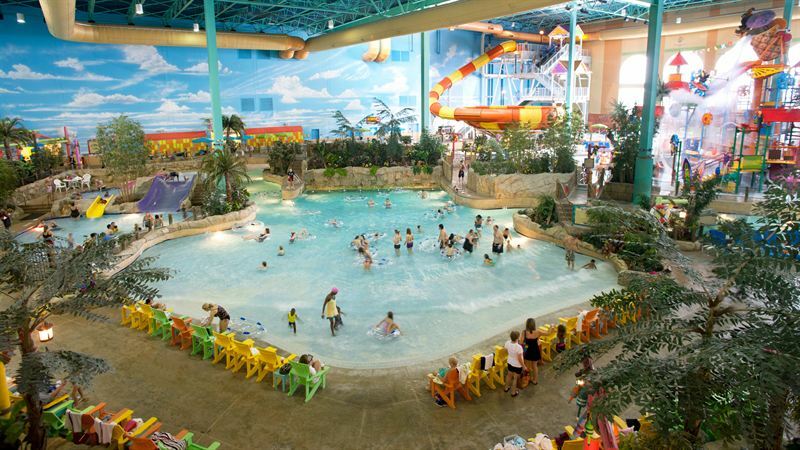 KeyLime Cove is an island-inspired family vacation destination less than an hour drive from Chicago and Milwaukee. As The Official Resort of Six Flags Great America, the year-round resort features 414 suites and staterooms and offers a complete family vacation without ever leaving the property. Created to be an American coastal experience just a short drive from home, the resort’s entertainment and amenities include a 65,000 square-foot, 84-degree tropical-themed indoor waterpark; an arts, crafts and activities center for kids; an 8,000 square-foot arcade; multiple restaurants including D.W. Anderson’s Eatery and Ice Cream Parlor and The Crazy Toucan Margarita Grille; Paradise Mist Spa; The Enchanted Lagoon Kids Spa; and 6,000 square feet of banquet and meeting space. An abundance of fun is found around every corner, including the uniquely themed interior, arts, crafts, interactive festivities, shops and street vendors. KeyLime Cove is operated by Madison, Wis. based S&L Hospitality, a hotel and resort management company with a niche in indoor waterpark resorts.